No grand adventures to share this weekend. I stayed close to home and checked a few items off my to-do list while fighting what feels like a possible case of sinusitis. Rachel helped me make two pies, one for my son whose birthday is today, and another for a sweet life-long friend who also happens to be the Cabinetmaker's cousin. While the pies baked, Rachel and I took a short drive down to the lake. One the way back I stopped to take a couple of fallish photos. 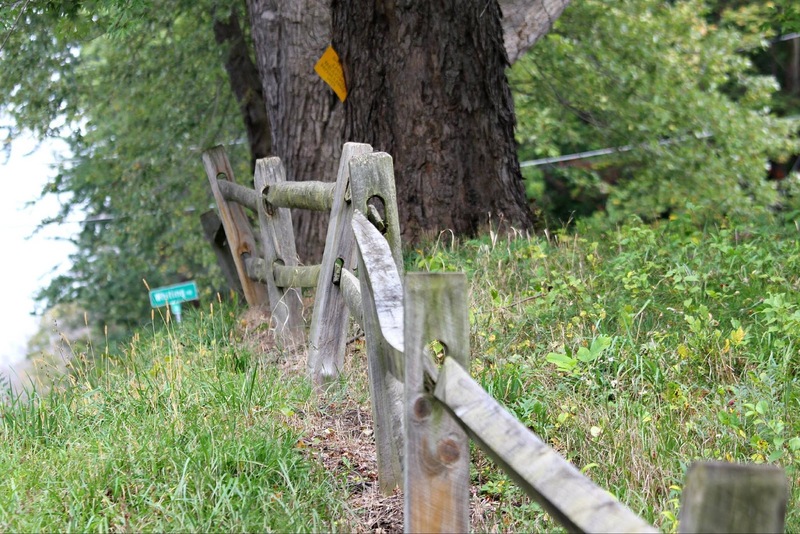 Love this fence! 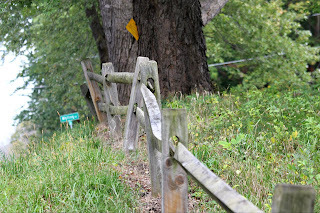 It catches my eye every time I drive past it but I'm usually alone and headed the opposite direction. Apparently there was a Fall Festival at the Whiting Road Nature Preserve yesterday. Who knew? This guy was pointing the way into the parking area. We stopped just long enough to take a picture of his backside and headed back to Rachel's house before the pies burned up. 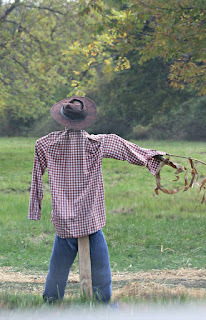 I keep forgetting that I want to build a scarecrow. Maybe I can put it on the list for next weekend. ...that guy needs to put some meat on his bones.